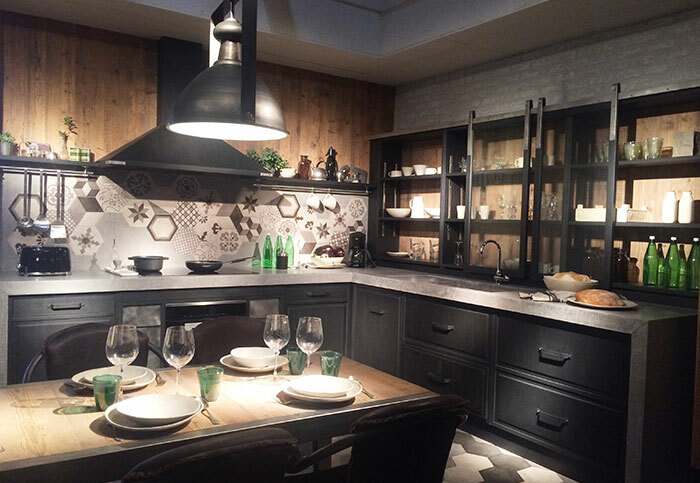 Celebrating 55 th year of Milan Design Week, the main show Salone del Mobile hosted designer collaborations and saw the return of the most important kitchen exhibition EuroCucina, featuring the best in modern interior design trends for the kitchen, bath and beyond. Häfele’s representatives attended and recorded trends spotted at the main show as well as key concepts to emerge form the design districts. 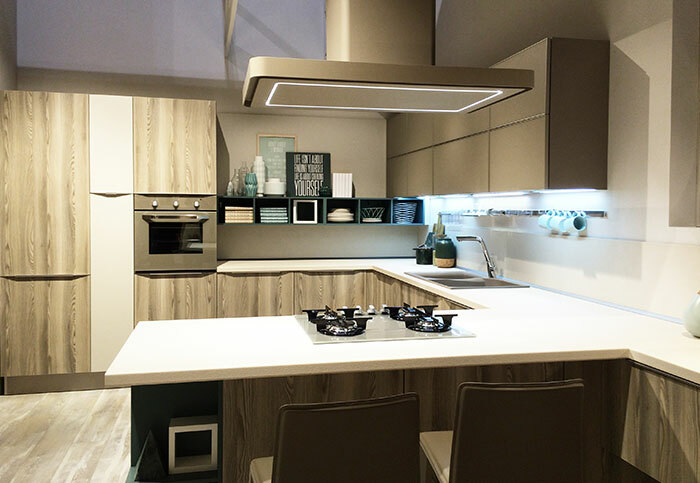 Majorly influenced by current high fashion trends, plain colors go to the natural untreated and muddy solid color like grey, caramels, cappuccino and statement browns are combined to create a sixties-inspired colour palette. 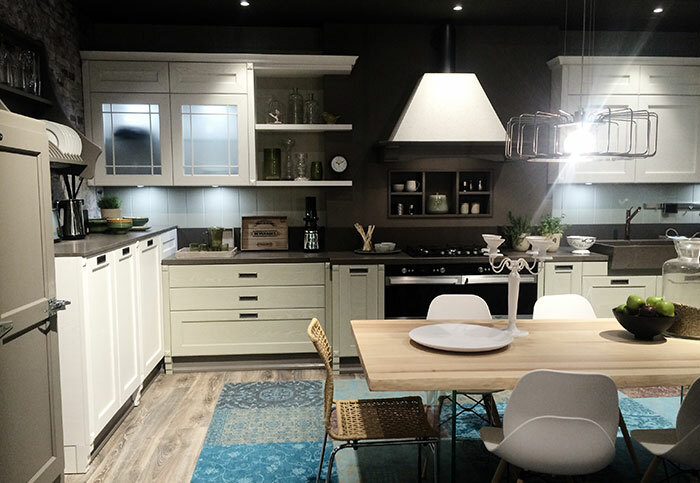 The revival of this classic era is influencing modern-retro styles for the home. 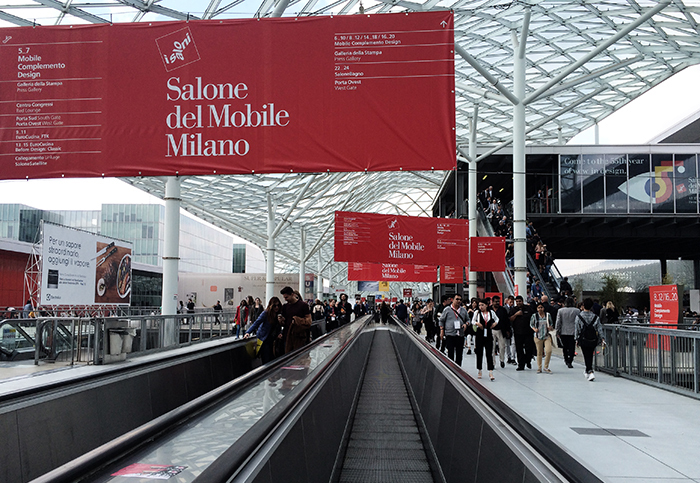 It didn’t merely celebrate furniture, but also showcases a lifestyle that resonates with visitors. 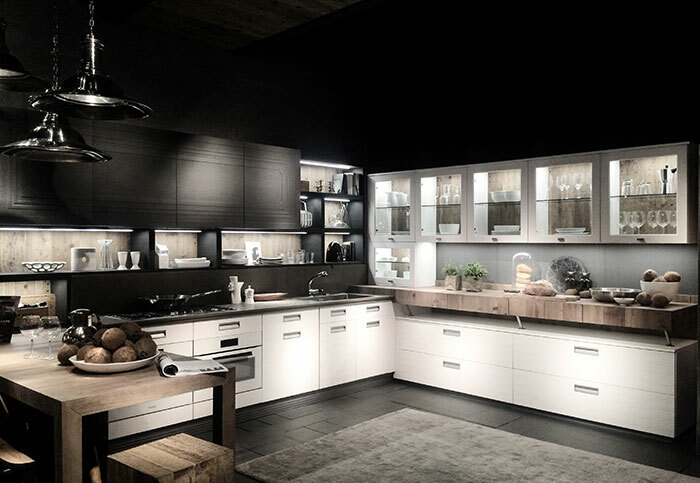 Nobtably, touch and feel surfaces are a central feature among all the exhibitors. 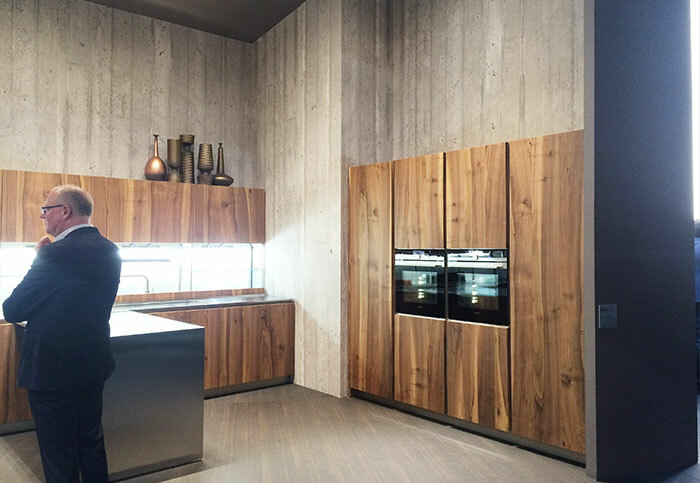 Throughout the fair we saw the most surface materials are matt finishes, synthetic ceramic stones and mixture of glossy surfaces and wood surfaces. 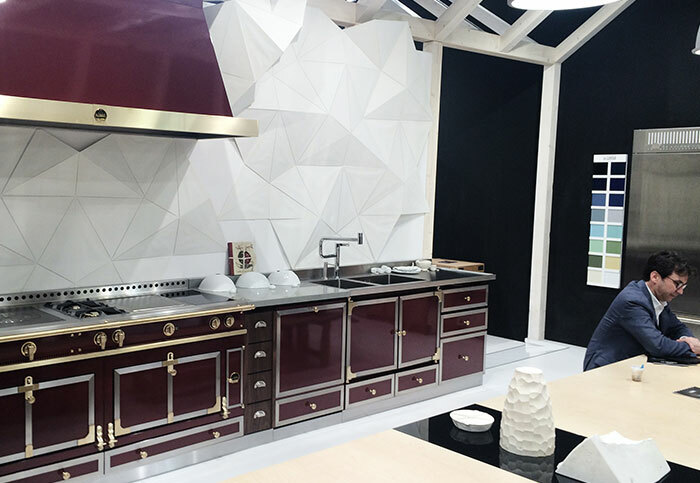 The style with raised wood details were highlighted at various booth. 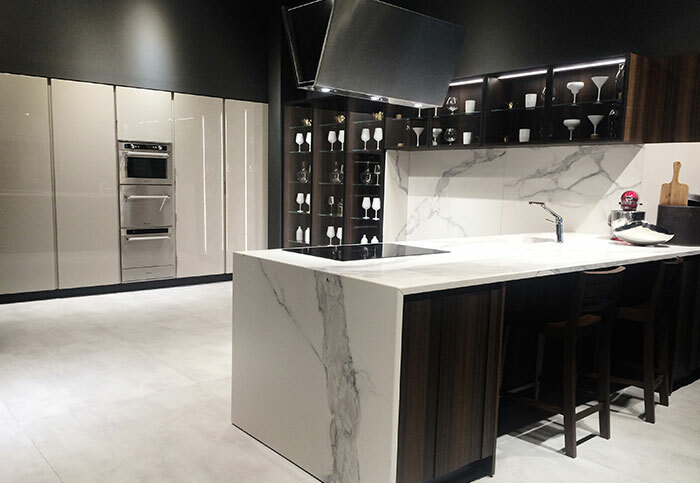 Besides that, many types of stone decors with vast details imitating real stone is common on worktops as well as on cabinets doors. It is quite obvious that digitally printed designs and edgings gainning more importance. Decorative accessories had a deconstructed feel with a strong focus on primary shapes. 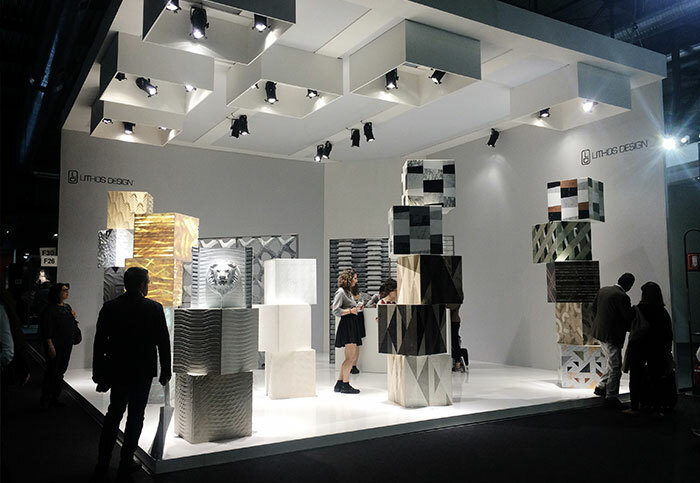 Reminiscent of constructivist sculptures, basic forms such as spheres, pyramids, cylinders and cubes were used to create single pieces or collections of products. 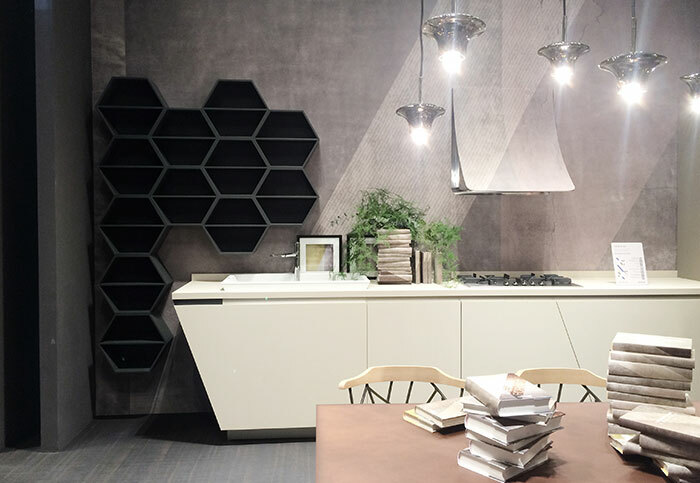 At Eurocucina 2016, hidden kitchens are the trend toward fully integrated appliances. Behind the doors are storage, cooking and refrigeration units. 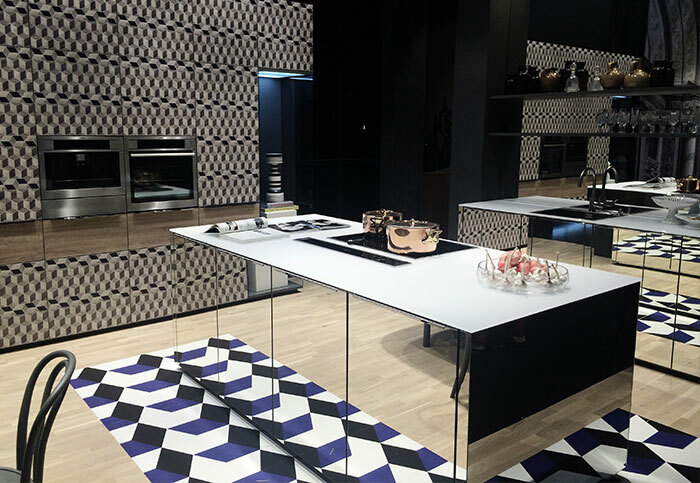 Another innovation is the “invisible” induction cooktop and steam ovens that increases useable prep and serving space. The latest wine and beverage refrigerators were also popular. 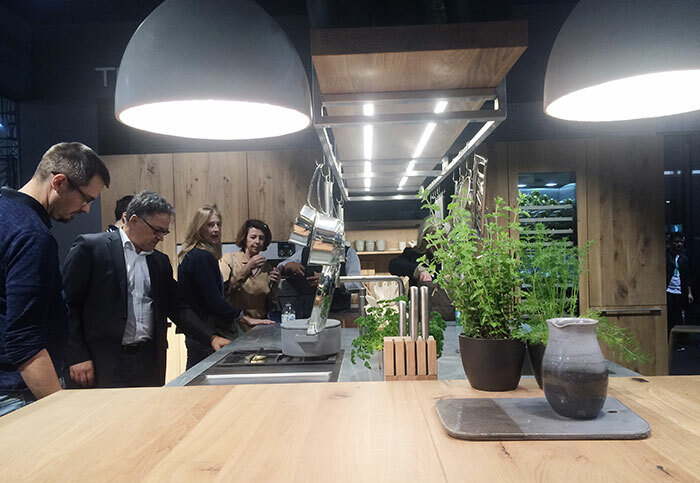 Attending and capturing information from major trade shows can be an overwhelming experience since Eurocucina doesn’t happen every year at Salone del Mobile. 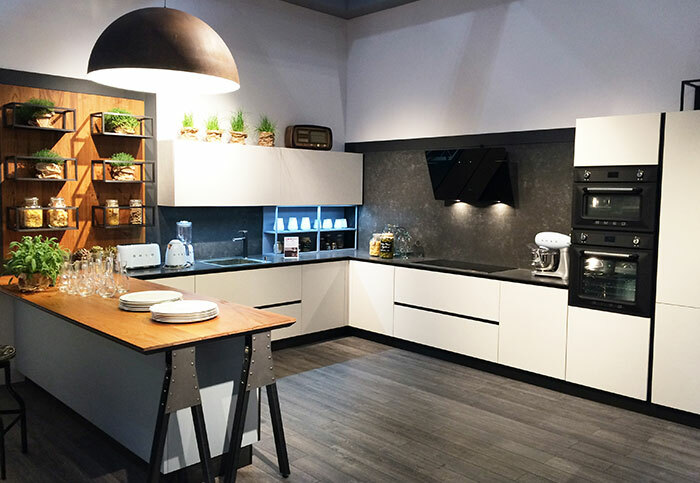 Stop by one of our showrooms or browse our products on the website to find more kitchen innovations inspired from the fair.